Reliance Power, Reliance Communications, Reliance Home Finance, Reliance Naval and Engineering and Reliance Infrastructure were up 2% to 6% on the BSE. Shares of Anil Dhirubhai Ambani Group (ADAG) companies have moved higher by 16 per cent in intra-day trade on Thursday, erasing most of their Wednesday’s losses on the BSE. 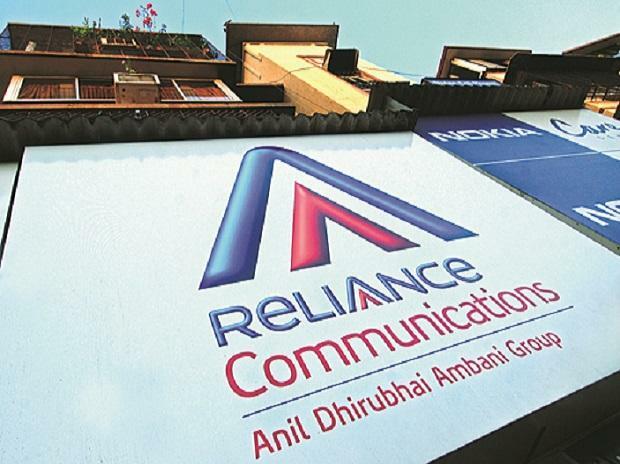 The rally comes on the back of a Reliance Communications (RCom) statement where the company said that it is confident of paying entire Rs 550 crore and interest thereon with four weeks as directed by the Supreme Court (SC). "RCom is confident of raising the balance approx Rs 200 crore for payment to Ericsson, in order that the entire Rs 550 crore plus interest thereon stands paid to Ericsson well within the time of 4 weeks allowed by the Hon’ble Supreme Court," it added. Following the news, Reliance Nippon Life Asset Management surged 16 per cent to Rs 181 on the BSE in intra-day trade on heavy volumes. Reliance Power surged 6 per cent to Rs 11.35, followed by Reliance Capital (up 6 per cent at Rs 154), RCom (4 per cent at Rs 6.04), Reliance Home Finance (4 per cent at Rs 25.80), Reliance Naval and Engineering (3 per cent at Rs 8.96) and Reliance Infrastructure (2.5 per cent at Rs 122.50). Meanwhile, in separate regulatory filing, Reliance Capital said that it has invited its partner, Nippon Life Insurance Co. Ltd. to make an offer to acquire up to 42.88 per cent stake held by Reliance Capital in Reliance Nippon Life Asset Management (RNAM). Nippon Life Insurance Company already holds 42.88 per cent stake in RNAM. Soon after the Supreme Court judgment on Wednesday in the Ericsson contempt case, shares of Anil Ambani Group companies tumbled on Wednesday by up to 10 per cent on the BSE in intra-day trade. After a knee-jerk reaction, most stocks recovered partially and ended 1-4 per cent lower.